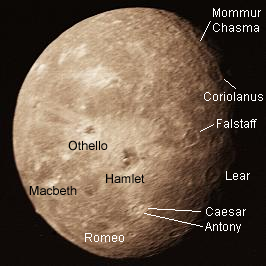 One of the large spherical moons of Uranus, Oberon was named after the King of the Fairies from Shakespeare's A Midsummer Night’s Dream. 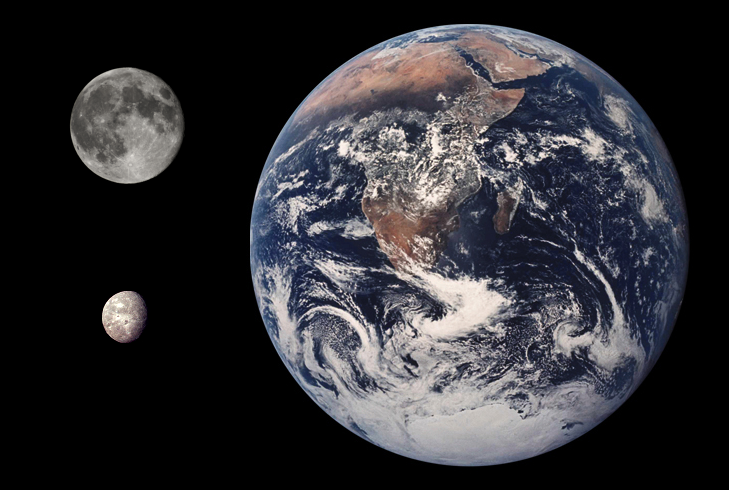 It’s the outermost of the 5 large moons and the most heavily cratered, possibly on account of its ancient surface that has largely remained unaltered since its formation. More Cool Interesting Fun Facts About The Battered Oberon! 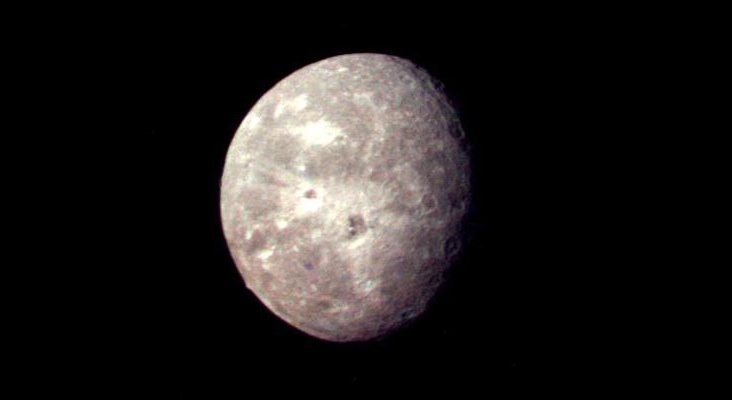 Oberon is the second-largest moon of Uranus and the 9th most massive known moon in the solar system (with the moon Titania being the larger Uranian moon). As with the rings and the other large moons of Uranus, Oberon orbits close to its planet's equatorial plane. 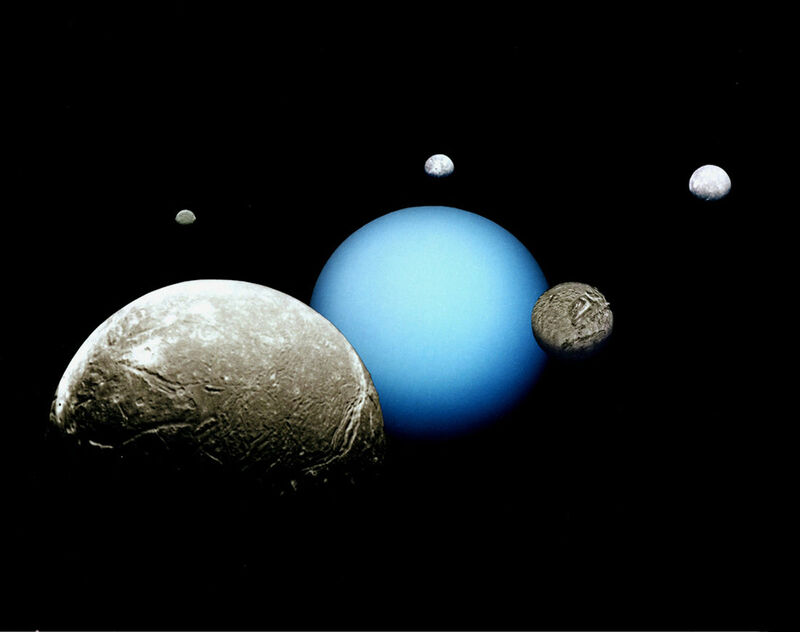 This means the moons share Uranus' extreme seasonal cycle on account of each pole experiencing permanent night or day for half a Uranian year – which is 42 Earth years! Scientists believe that Oberon, like all of Uranus’ large moons, is likely composed of approximately half ice and half rocky material that is likely differentiated into a rocky core and icy mantle. It is possible that a thin liquid ocean may exist between the mantle and core if sufficient ammonia (or similar antifreeze compounds) and core heat exists. Oberon’s surface is dominated by two features – craters and several chasmata (which are basically canyons that resemble rift valleys and escarpments on Earth) extending across the surface that likely formed during the extension of the surface as the moon cooled and expanded. Oberon is the most cratered of the Uranian moons, with the aptly named crater Hamlet, being the largest at 206 km in diameter! The orbit of Oberon takes it beyond Uranus’ magnetosphere result in it being the only major moon of Uranus not to exhibit a darkening of its trailing hemisphere. Every 42 years, around the equinoxes, it’s possible to capture a rare transit of Oberon as the moon passes in front of Uranus where it can even occult one of the other 4 major moons. It is believed that Oberon formed billions of years ago, from the accretion disc that surrounded the newly formed Uranus; perhaps even from debris from the colossal impact that pushed Uranus onto its side! 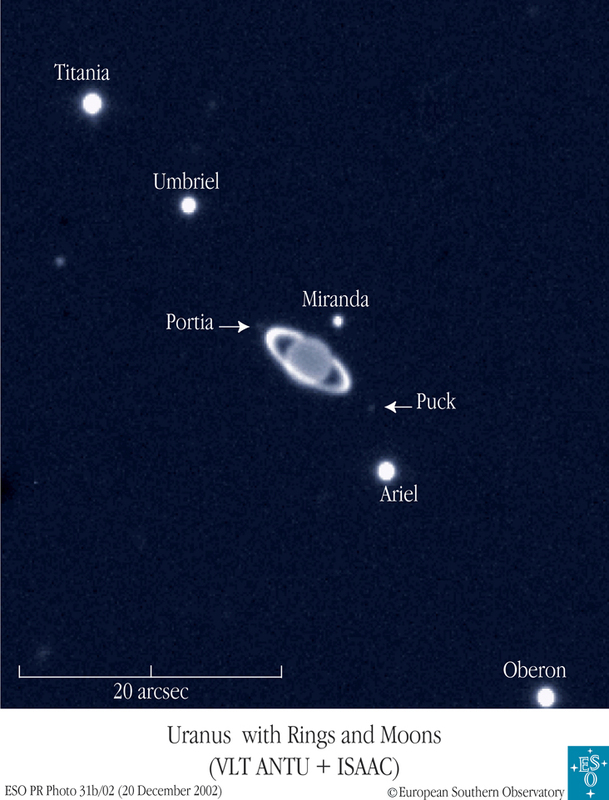 The only probe to have visited the Uranus system (and its moons) was the Voyager 2 spacecraft in 1986, where it managed to photograph 40% of Oberon’s surface during Voyagers brief flyby.